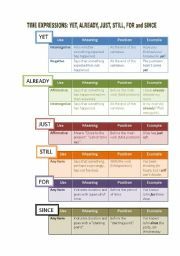 I use this printable to teach some negative sufixes to make the opposites of very common adjectives. Key is provided. 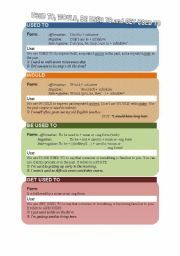 Worksheet to practise the use of Used to, would, be used to, get used to with solutions. Again knocking on our students� minds!! They must be aware that Christmas is not the same for all the people!! Fill in the gap activity. 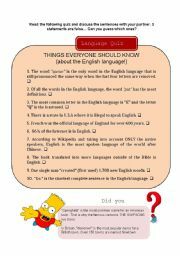 A warm up activity dealing with interesting facts about the English language. Key to the quiz provided. Band aids 20 "Do they know it�s Christmas?" A not-so-typical Christmas Carol to make our students think about how lucky they are. More to come! A worksheet containing clear and easy explanations about how to use these time expressions. It also contains some practice with the key. 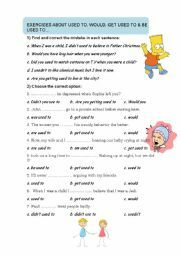 Funny worksheet in which students practise "Asking for and giving directions" conversations, in London. Moreover, I use it to introduce very important places in the center of London. I also use it to review nationalities.Map and teacher�s notes are included. Once downloaded, you can make the map bigger. It looks nice when downloaded. 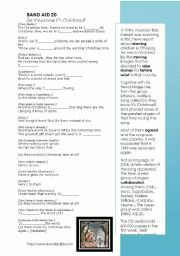 Exercises to review the use of the present continuous and the present simple. It has a funny warm-up activity. 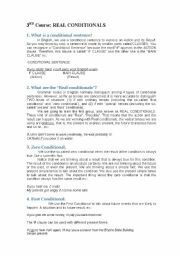 Exercise to review the conditionals for the advanced level of English. A great game to review some idioms and phrasal verbs for the B1+ and the B2 level of English. Game to test your knowledge on infinitives and gerunds. It is addressed to Intermediate students. Game to practise the use of infinitives and gerunds for the B1 level of English. Revision on "Infinitives and gerunds" for the ADVANCED level of English. A general review of the C1 grammar.